Danfoss engineers technologies that enable the world of tomorrow to do more with less. We meet the growing need for infrastructure, food supply, energy efficiency and climate-friendly solutions. Our products and services are used in areas such as refrigeration, air conditioning, heating, motor control and mobile machinery. At Danfoss Cooling, our mission is to keep people, products and the planet cool. With a wide range of products and solutions, including compressors, valves, sensors, electronics, pumps and heat exchangers, we help our customers put energy efficiency and a sustainable approach first, as we are engineering tomorrow’s cool planet. Our solutions help turn salt water into clean drinking water and manufacture energy efficient air-conditioning and refrigeration solutions that are ready to use natural refrigerants. Our products are found in many different buildings like hotels, airports, shopping malls, train stations and other buildings around the world. We also play a role in the energy transition. We work to integrate more renewable energy and to decarbonize our energy system, which requires more flexibility and demand-response-ready buildings. By combining our know-how of heating and cooling applications, we are developing innovative energy storage solutions, such as the connected supermarket and the Danfoss SmartStore. Our innovative engineering dates back to 1933 and today Danfoss is a world-leader, employing more than 25,000 employees and serving customers in more than 100 countries. We are privately held by the founding family. Read more about us at www.danfoss.com. Daikin Europe N.V. (DENV), founded in 1972, is a 100% affiliate of Daikin Industries Limited and leading manufacturer and supplier of energy-efficient HVAC (heating, ventilation and air conditioning systems including heat pump and refrigeration solutions). We have a turnover of 2,3 bio €, employ over 6900 employees, and have our headquarter in Belgium, also twelve production facilities, 22 affiliated companies, five sales offices and an extensive distribution network in the EMEA region . The company provides innovative, premium quality indoor climate management solutions for residential, commercial and industrial use. The BITZER Group is the world’s largest independent manufacturer of refrigeration compressors. As long-standing German company with more than 80 years of experience, BITZER builds on innovation, reliability and consistency. Compressors for the right temperature BITZER offers the appropriate compressors for an extensive range of refrigerants and pursues the aim of setting a good example in the refrigeration and air conditioning industry, particularly when it comes to using alternative refrigerants. With their distributors and manufacturing sites for reciprocating, screw and scroll compressors as well as pressure vessels and condensing units, BITZER is represented all over the globe. BITZER compressors maintain the optimum temperatures on buses, trains and in buildings and ensure food stays fresh at all times on its way to the customers. BITZER is future-oriented in driving their developments forward and backs environmentally friendly technology with climate-friendly CO2 compressors and innovative control systems. BITZER’s wide-ranging environmental commitment can also be seen in the finished product: Enhanced efficiency, reliability and capacity control enable customers to make lasting energy savings. As the electrical and electronic manufacturer, Mitsubishi Electric has more than 90 years of experience, providing solutions in a wide range of fields from home to space. At the leading edge of innovation, our air conditioning systems provides greater comfort to customers, promises environmental responsibility, and creates a better world. We have operations in the Americas (North, Central and South), Asia Pacific, Africa and Europe; we have 20 fully-owned subsidiaries and 7 production sites, in addition to partners and distributors in a further 75 countries. 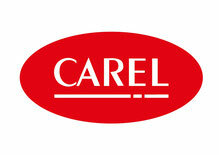 CAREL has more than 1200 employees with a turnover of consolidated sales of 231 million euros (2016); it operates globally through 20 subsidiaries and 7 production plants.